Lost wealth can be replaced by industry, lost knowledge replaced by study, and lost health by medicine, but lost time is gone forever. In an integrated digital world, driven by data and individualized consumer demands, salespeople are finding it more and more difficult to spend time on facilitating the necessary conversations they need to drive sales and interact with consumers. According to a State of Sales Report, sales reps are spending only 34% of their time actually selling, with a majority of their time spent on other duties to keep up with the changing expectations of consumers. This translates into lost opportunity, where the potentially hottest prospects are ones salespeople never get the chance to talk to. When multiple automotive brands reported lower sales in September 2018 compared to last year, some upwards of 12% lower, ignoring what consumers want will only contribute to further sales decline as dealers finish out the year and head into 2019. No matter the industry, the rise of technology and digital channel integration is changing the game for traditional sales. Data is king, and salespeople now report that more than half of their sales strategy derives from data-driven insights. On top of being able to leverage insights from large amounts of new data, the sales customer is also demanding an individualized approach over transactional relationships. So now, a successful salesperson needs to be a data scientist, communicator, marketer, and IT analyst all in one. Not only have technology advancements generated vast amounts of data consumption, most of the sales process has gone virtual in response to consumer expectations of ease and personability. For example, currently less than half of sales are made in person citing a 12% net change just over the span of 3 years. So how can salespeople acclimate to this newly integrated, individualized and data-driven consumer environment to beat the sales slump? The answer is in Artificial Intelligence. 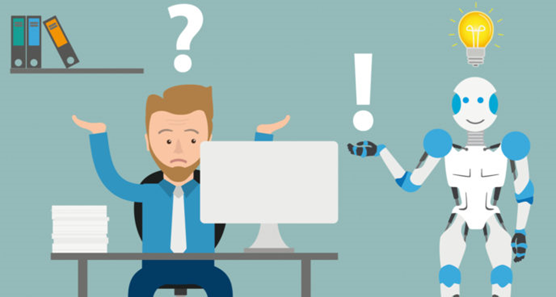 To utilize their time the most efficiently and effectively, many salespeople are turning to AI, which acts as the data scientist, marketer, communicator, and IT analyst salespeople need to focus on reaching those interested consumers that would otherwise get lost in the data. AI has shown to provide key support in areas ranging from intelligence forecasting to lead prioritization. At Outsell, instead of seeing data and consumer individualization as a burden, we use it as a secret weapon. Outsell makes salespeople’s lives easier with AI-driven, automated campaigns across multiple channels, giving you as much control as you want. To learn more about the Outsell platform, visit www.outsell.com/dealers.